Lennox X6672 - Carbon Clean Healthy Climate HCF16-16 MERV 16 Replacement Filter 16" x 25" x 5"
Lennox X6670 - Healthy Climate HCF16-11 MERV 11 Replacement Filter 16" x 25" x 5"
The Aprilaire 600 bypass humidifier can humidify a tightly-constructed home of up to 4,000 square feet. The digital humidistat automatically adjusts the humidity level as outside temperature changes. This Aprilaire 600 humidifier also features a built-in bypass damper (which means fewer parts to install) which is conveniently labeled for both summer and winter settings, allowing you to set it for the entire season with no guesswork involved! Add the new Aprilaire 4839 Annual Maintenance Kit to your order! 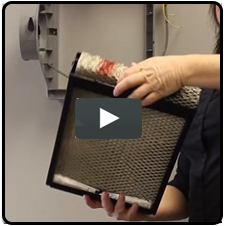 This convenient kit gives you all the parts you need to maintain your Aprilaire 600 humidifier each year and keep it running in like-new factory condition. 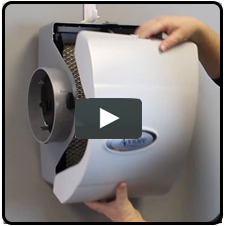 The Aprilaire 600 Humidifier is recognized as the best bypass humidifier on the market, and the model 600 features the new #60 updated digital, automatic humidity control. 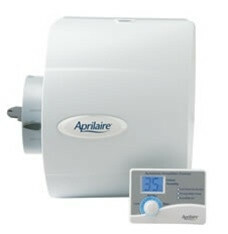 The Aprilaire 600 Humidifier includes the option to install an outdoor temperature sensor (also included) that works in conjunction with the automatic humidistat to properly monitor and adjust relative humidity settings in the home. It also includes a 5 year manufacturer's warranty. 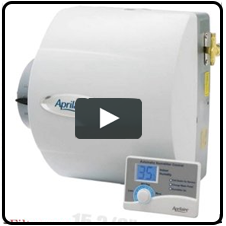 Aprilaire 600 Humidifier - Good product. Made a noticeable improvement in the humdity levels in the home and was fairly easy to install, other than the heat pump compressor failing right before installation.